It’s Friday and it’s Happy Peanut Butter Lovers Month! What better way to kick off Friday than with, yes you guessed it, a peanut butter treat! Now then ever since Jude’s did a strictly limited edition peanut butter number that you could only get your hands on if you won a competition, I have been praying that they would release one similar. Low and behold my prayers have been answered, say hello to Jude’s Peanut Butter Chocolate Ripple. 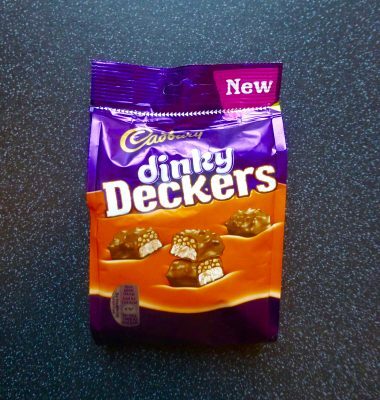 Let’s face it anything peanut buttery is going to have the taste buds going and this is no exception. I finally found this stripy tubbed beauty in Sainsbury’s on offer for £3.00. So far this flavour is only available in the 500ml tub, is vegetarian friendly and 10% of profits go to charity. 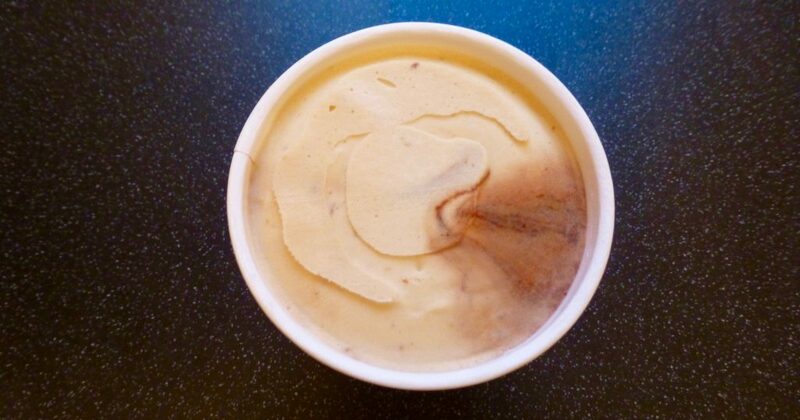 Peanut Butter Ice Cream with Peanut Pieces and Belgian Chocolate Ripple. With its marbled effect topping I certainly couldn’t wait to get stuck in. Like all tub varieties an element of patience is required before it is scoop-able. Thankfully this didn’t take that long. Per 100ml: 179 kcal, 3.2g sat fat, 16g sugar, 5.7g protein. Taking a good old scoop out made way for the beginnings of the chocolate ripple. What isn’t too clear in the picture is the abundance of tiny peanut pieces littered throughout the ice cream. The ice cream, as with all Jude’s that I have tried, is second to none. It was rich, creamy, silky and indulgent. 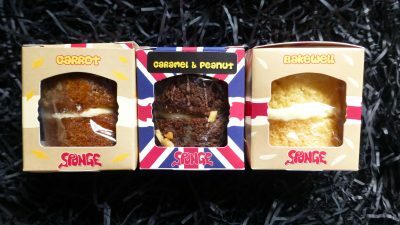 The peanut butter flavour was smooth but strong enough to hold it’s own against the Belgian chocolate swirl. I don’t usually like nuts interfering in my ice cream or chocolate, however here it gave that extra peanutty hit and texture without being annoying. Although the chocolate doesn’t look like enough it was enough for me to give it another dimension without overpowering the peanut butter. 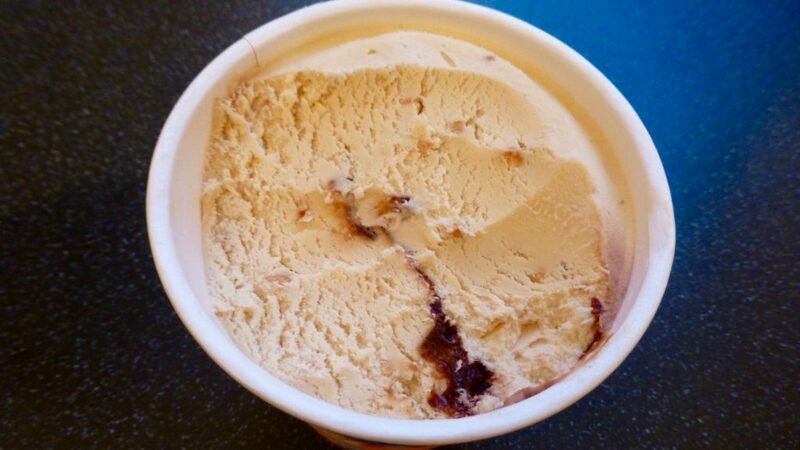 Holy smokes Jude’s Peanut Butter Chocolate Ripple is one hell of a scrummy ice cream. It trumps Jude’s Salted Caramel & Brown Butter Pecan and in actual fact it is even my new favourite peanut butter ice cream! 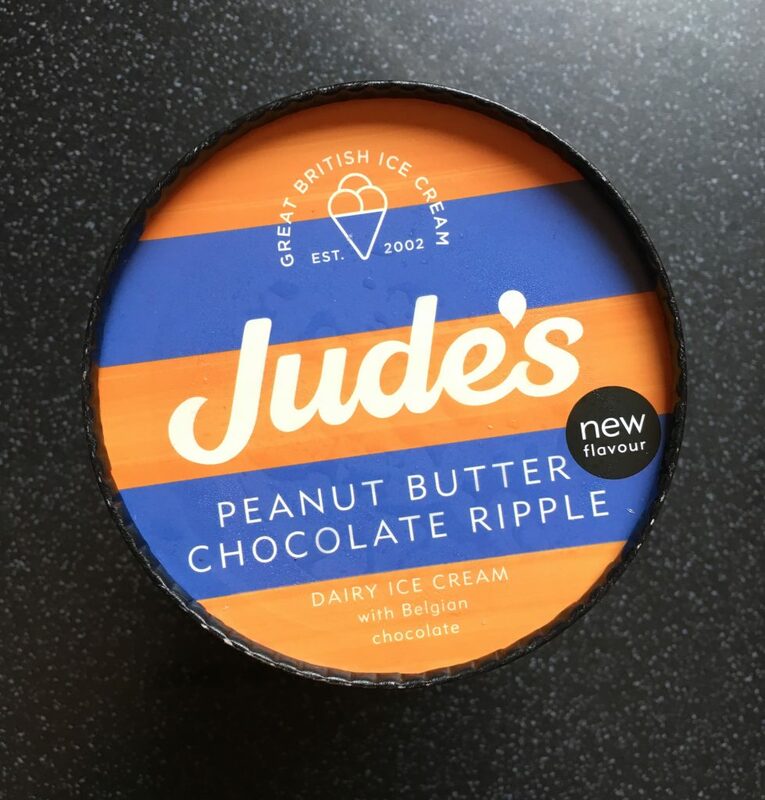 Move over M&S Peanut Butter Ice Cream, Jude’s is in town!! Definitely not a fan of this ice cream , there is no peanut butter flavour at all. There is not enough chocolate and the peanuts were not roasted properly therefore peanut flavour is lacking.